Choose louvers in slat, arched, and mission – finished in matte black, and hammered pewter. The optional FreshAir+ System, for Deluxe and Premium Fireboxes only, blends warmed air with incoming outside air to continuously freshen your indoor air. 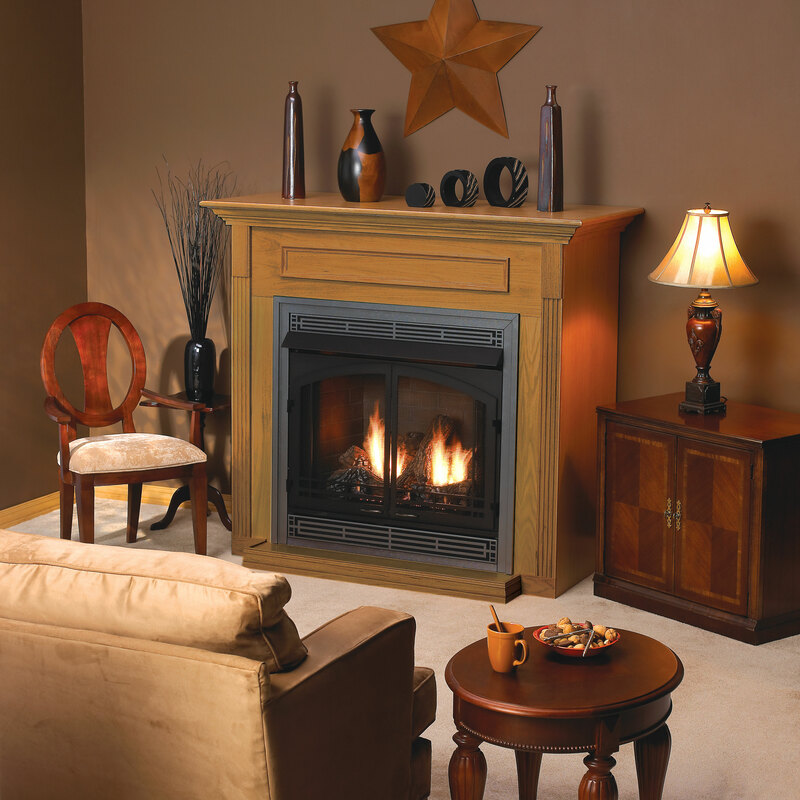 Designed for installation in tight spaces, Breckenridge Deluxe fireboxes measure just 16 1/2 inches deep for the 32-inch model and 19 for the 36- and 42-inch models, yet still allow installation of a blower. We offer an assortment of decorative arched doors, louvers, and frames for the Deluxe fireboxes – accessories normally reserved for manufacturers’ upscale models. Liners include four styles in ceramic fiber, one in refractory, plus Stainless Steel and Black Reflective (Deluxe only). 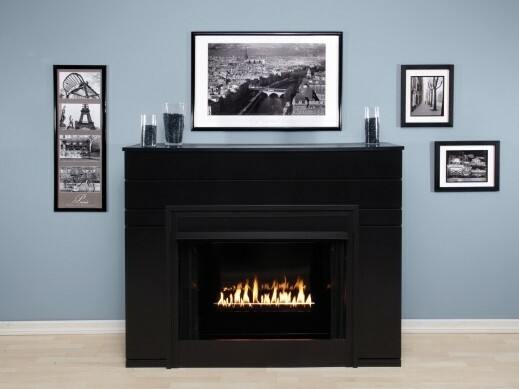 This firebox is an elegant Matte Black. 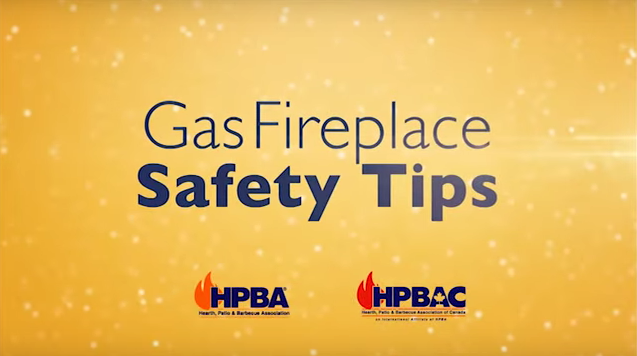 Surround your fireplace with a traditional-style Cabinet or Corner mantel in one of five finishes, or choose stainable oak or hardwood. For use with contemporary burners, we also offer stainless steel and reflective black liners to fit the Deluxe firebox, along with a special contemporary mantel in modern matte black – in cabinet or corner models. Breckenridge Premium fireboxes add a little more overall depth – 20 7/16 inches – and a taller opening to showcase today’s bigger log sets. 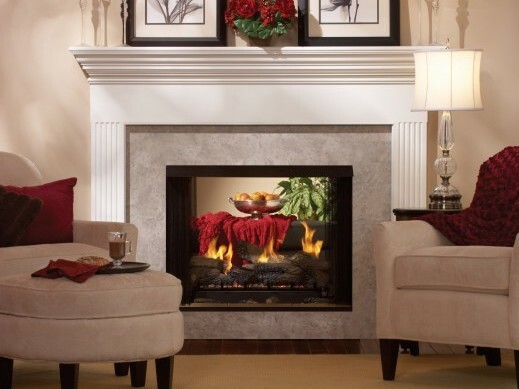 Complete the Premium Firebox with one of four ceramic fiber liners, decorative accessories in three styles and two finishes, a blower – and even a lighting kit for use with a switch or dimmer control. Surround the installation with a traditional cabinet or corner mantel. 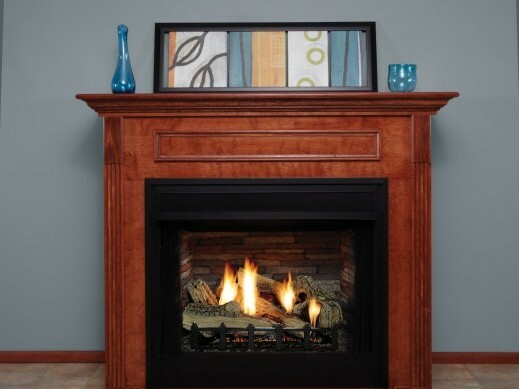 Our unique Breckenridge Select vent-free gas firebox features a tall, deep stage for the log set, yet has compact outer dimensions and a low-profile top and bottom. The visual effect is a lot more fireplace with less of the firebox face showing. The Breckenridge Select has no louvers and the lower panel measures less than an inch tall, allowing it to be installed at floor level, yet still provide the benefit of a recirculating firebox with optional blower. 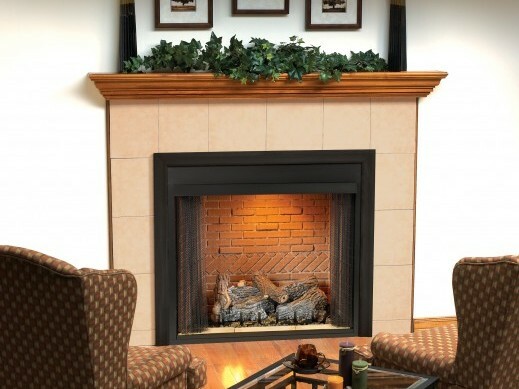 Our Breckenridge Multi-sided fireboxes accept any properly sized, certified vent-free burner and log set, such as the 18-inch, 24-inch, or 30-inch Slope Glaze Vista Burner, with a Stone River Ceramic fiber log set or a Rock Creek refractory log set. The Breckenridge comes with conventional louvers or in a flush face model that can be completely bricked or tiled into place, yet still allow use of the circulation blower.